Qik-Link Modular flooring can be used for a quick and easy flooring solution for all temporary office spaces. Whether you have outgrown your current office and need to convert all or part of a warehouse or processing plant for office space or perhaps you’re using a portacabin as a short-term requirement for more office space, Qik-Link modular flooring will allow you to create a stable floor and to allow all electric and communication cables to be installed quickly and easily. Not only can Qik-Link be installed in minutes, it can also be taken up quickly and without leaving any damage to the original floor. If you have a short-term need to change part of or an entire commercial building’s use for office space, and require a temporary floor put down and especially if you need to manage electrical and communication cables please do get in touch. We’d be delighted to carry out a site survey and demonstrate the benefits of a Qik-Link temporary floor. 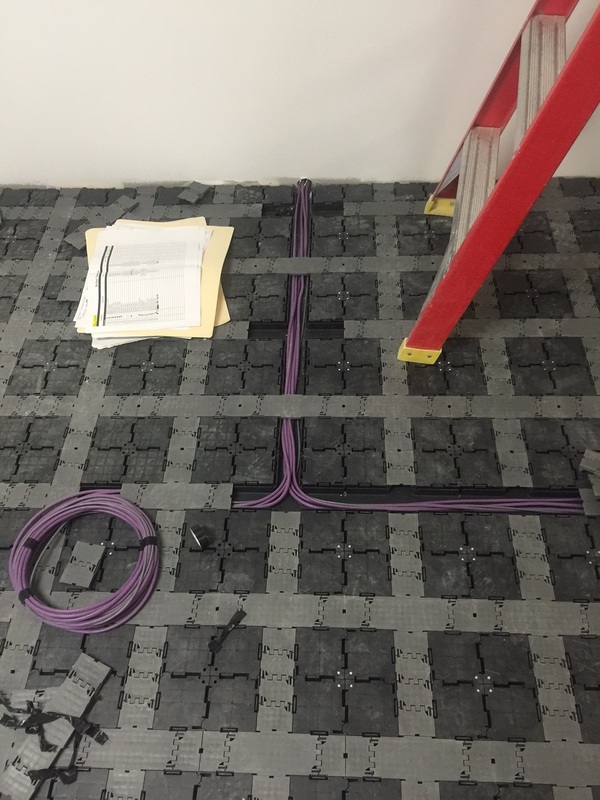 Qik-Link Modular flooring was recently used in office space for British Telecom in Australia.